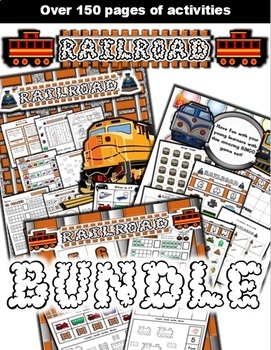 Here is a set of some of our favorite Railroad themed activity sets. 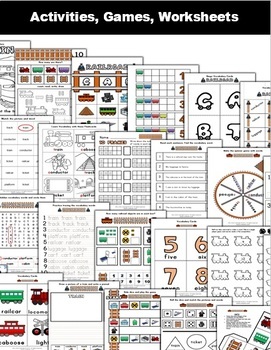 These are perfect for classroom centers for the kids to learn with each other and have fun. I have many more activity bundles for sale in my store. You can click on the links below to see more of them. 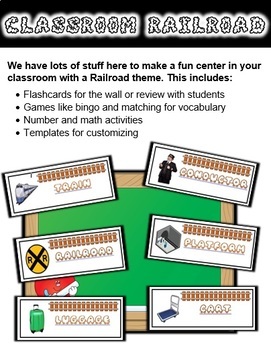 They include lots of themed vocabulary and number work for class and can be used in your own classroom centers. Thank you so much for checking out my store here and check back for more products I will be adding soon. I update frequently as well and am always looking for ways to make better resources for teachers, parents, and students. Please leave feedback and let me know what you think of my products, how they are used in your classrooms, and how effective you think they were in your learners objectives and outcomes. Enjoy!